Ozinga is a family-owned, American company that provides concrete, bulk materials, and energy solutions while offering transportation services through an extensive network of truck, rail, barge, and ship terminals. Ozinga is best known for its red and white striped concrete mixers, and sometimes it’s hard to diversify. The organization wanted to tap into its robust expertise to create a new business unit that allowed customers to work with them for both their materials and their logistics needs — supply chains typically handled by two separate entities — while positioning themselves as much more than a concrete company. Just because it hasn’t been done, doesn’t mean it can’t. “Let’s Get It Moving” identified Ozinga as a business partner that understands how to combine bulk material sourcing and logistics to find new opportunities for improving efficiency and effectiveness, allowing consumers to focus on their customers. 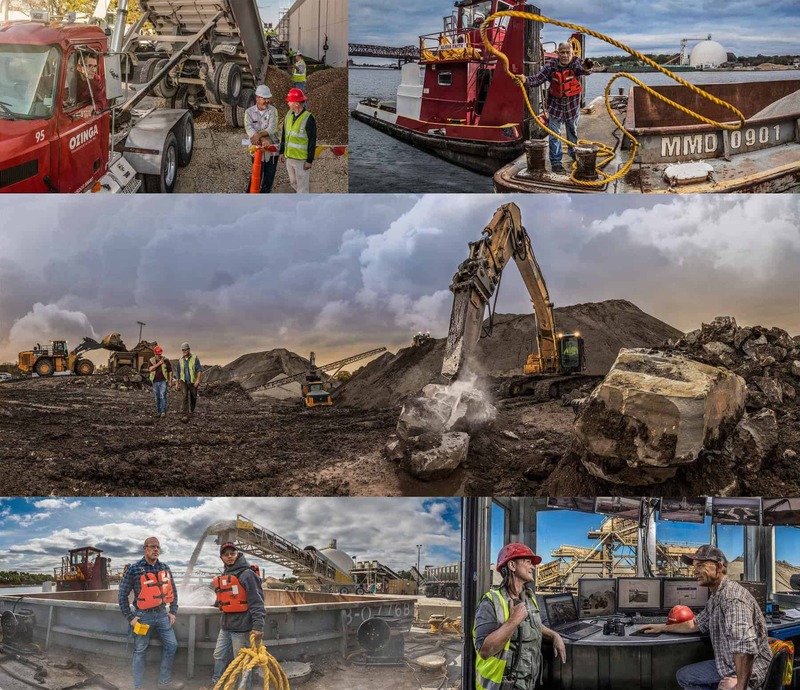 By featuring Ozinga employees as everyday heroes while performing their work, we were able to capture striking images that illustrate the Ozinga advantage. 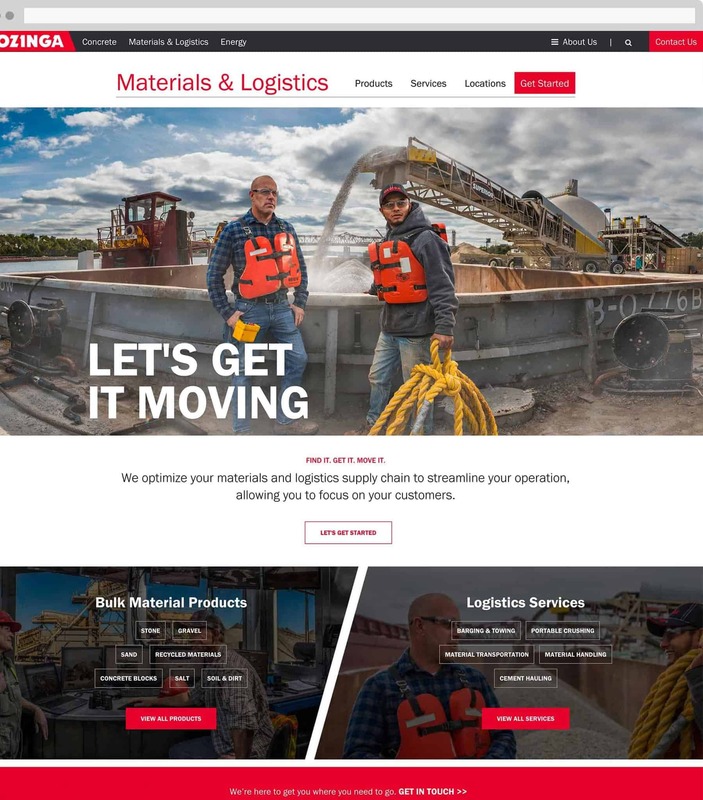 Materials and logistics were previously two separate sections on the Ozinga website. Combining them into one enabled us to convey how the interplay between the groups sets them apart. 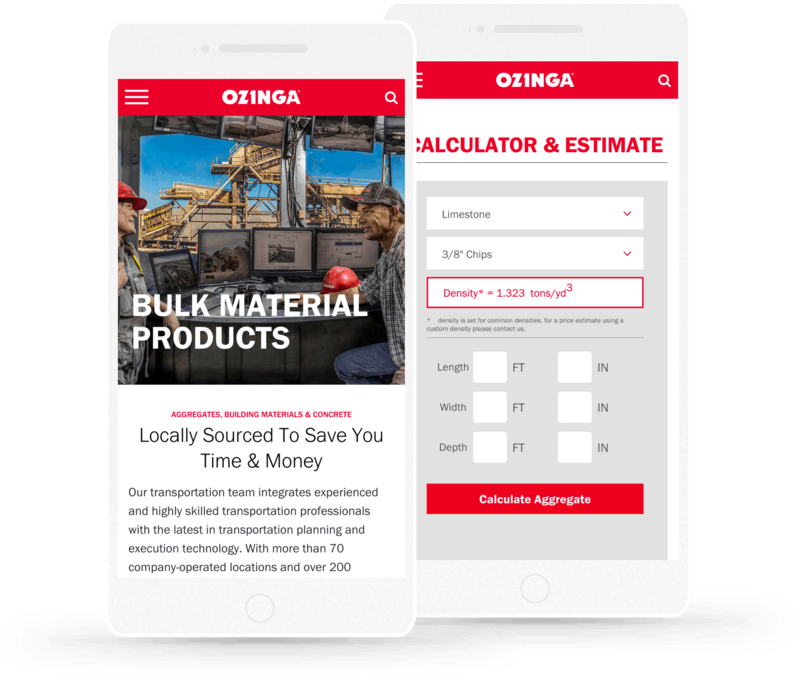 Now the perfect landing spot for users arriving via a digital marketing campaign, Ozinga’s vibrant and striking website communicates a key differentiator while converting users into customers.